The cold winter months can be extremely dangerous for the eldest of our population. Senior citizens are at a higher risk of illness, falls, and failure to stay adequately warm. As it gets dark earlier, seniors may find it difficult to drive. Winter weather such as wet, icy, or snowy roads and sidewalks pose an increased risk for accidents and falls. The elderly are at the greatest risk of catching communicable diseases such as cold and flu. Seniors may not realize that they are in need of heating repair in Burlington, NC, until the temperature drops to a dangerous level. Caring for the seniors in our lives, whether parents, grandparents, relatives, or friends, is a duty we must take seriously, especially during the winter. Follow these guidelines to keep your elderly loved ones safe this season. Call them daily. Just a daily phone call can give you a lot of information about a person’s well-being. Listen for any cues that indicate a problem such as a cough or hoarse voice, confusion or disorientation, or signs of depression. If anything seems off, pay them a visit to see if they are ok. Call 911 if you have any reason to believe there may be an emergency. Check in on them in person at least weekly. Even if they sound fine over the phone, it is a good idea to pay them a visit weekly at the very least, especially if they live alone. Are they keeping up with their own personal hygiene? Note the condition of their home, the temperature, the cleanliness. Does it feel unusually cold inside? Sometimes seniors turn down the heat in order to save money even when the temperature drops to an unsafe level. If anything seems off about the furnace operation, call for heating repair in Burlington, NC. Even if it seems to be working fine, a tune-up is always a good idea to keep the heating system running efficiently and to prevent unexpected problems in the future. If you are unable to check on them, make sure someone else does. If you are too busy or if your elderly loved one lives in another city or state, be sure a trusted adult is checking in on them regularly. If there is no one close by, it is possible to hire a caregiver to check on a senior citizen and to provide any help they may need. When the outdoor temperatures drop to extreme lows, a home with a broken furnace can become drastically cold incredibly fast. Your loved one could be in danger and lack the ability to fix the problem. They may avoid calling so as not to bother anyone and continue to suffer in silence. The best option is to prevent heating system failure in the first place with routine maintenance. 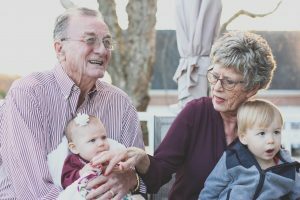 Get the senior citizen in your life on a Comfort and Protection Service Agreement to make sure their furnace is regularly serviced and kept in good working order. Just as important, make sure they always have stays on with scheduled propane delivery. Alamance Oil offers Autofill and E-Z Pay programs to provide peace of mind that their heating oil or propane will never run out. Alamance Oil is a reliable provider of heating repair and propane delivery in Burlington, NC. Call today to make sure your loved ones stay warm this winter. (336) 273-8663.